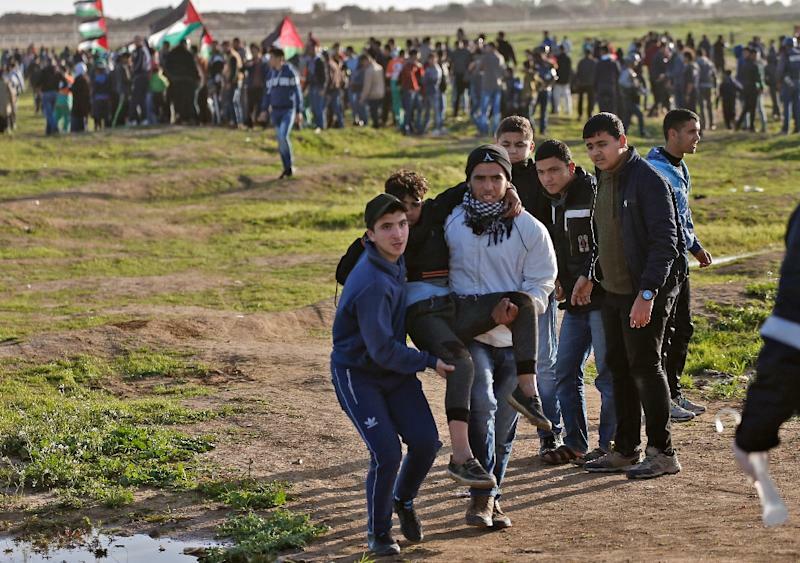 Fourteen-year-old Hassan Iyad Shalaby from the southern Gaza city of Khan Younis and 18-year-old Hamza Mohammad Ishtiwi from the city of Gaza were both struck by the occupation's bullets today, the ministry said. The protest campaign, launched by Gaza's Hamas rulers last March, has become a weekly event. The settlements are seen as illegal under worldwide law and a major obstacle to peace, as they are built on land the Palestinians see as part of their future state. An Israeli military spokesperson said soldiers on Friday used riot dispersal equipment and opened fired "in accordance with standard operating procedures". The Israeli troops responded with barrages of tear gas and live fire. Earlier this week, Israel began reinforcing its fence, erecting a galvanized steel barrier six meters (20 feet) high that will run the length of Gaza's perimeter. The degree of violence on several occasions escalated into cross-border exchanges between Hamas and Israeli forces.